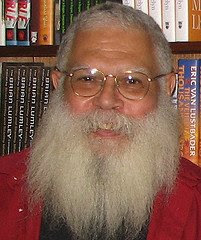 The only thing going on with my current reading and probably my future reading for a few months to come is the amazing Samuel Delany. That it took me thirty-seven years to find out about how great this writer is and start reading his books just makes me tremble. What else am I missing? A lot, I’m sure. I’ve always, of course, been a fan of sf and other genre fiction and had certainly heard of Delany as a well-regarded author, but I had never happened to read him until one day, when I was in between other reads (probably waiting for my friend Pat to pass off to me another of the Dan Simmons tomes that we spent much of the past year reading), I grabbed The Einstein Intersection off of my own shelves. I had never read it, though I had owned it for years—I think it came home in a bag of paperbacks from a thrift store. I needed a quick read, the book was short and I sort of remembered the author’s name. I read it in two sittings and liked it well enough with its weird milieu and strange degraded future culture and its hints of radical sexuality. I read the Wikipedia article about Delany and learned that he is an African American, dyslexic and gay. I learned that he is the author of plenty of other books whose titles I had heard but had never read. Intrigued, I added some Delany titles to my list of things to read, but didn’t get to them immediately: Pat and I were still in the Simmons phase and I had a couple of other things on deck anyway. Also, I didn’t own copies of anymore Delany books, could not consider for money reasons purchasing any of them and had not yet gotten a library card here in OKC. A few weeks ago I did get the library card and one of the first things that I checked out was the thick, dense, astounding and confounding Dhalgren. I will write later in more detail about this novel, but for the moment I will just paraphrase one of the blurbs on the cover of the Vintage edition and say the it is a city/novel/labyrinth that swallows astonished readers (like me) whole. Utterly shaken and thrilled by Dhalgren, I went back to the library and picked up Empire Star and Babel-17 (published in a beautiful edition by Vintage in the manner of an Ace double with both novels in one back, back to back and flipped) and Stars in my Pocket Like Grains of Sand. I finished the first two mostly while in airports and on planes during a recent trip to visit my parents in Wisconsin. I am deep into Stars right now. 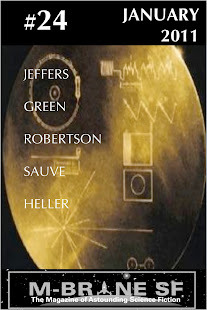 I love these books and I hope no one else makes the mistake I did and wait their entire lives before discovering them. When I read Delany I am reminded of something that I heard writer China Mieville say in an interview on Agony Column. I don’t remember the exact quotation, but he described two ways of writing—the writing itself, the language used—that have their adherents. One of them is the idea that the language used to tell the tale should be a clear pane of glass through which the story is seen. Another way of thinking about it is that the language is more of a stained-glass window and the story is perceived through its colors and refractions and by peering deeply into it. 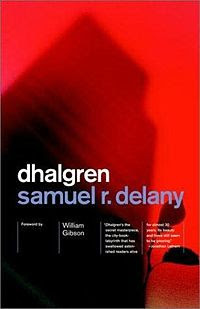 Delany is definitely a stained-glass kind of writer and he asks a lot of the reader but the reward is huge.